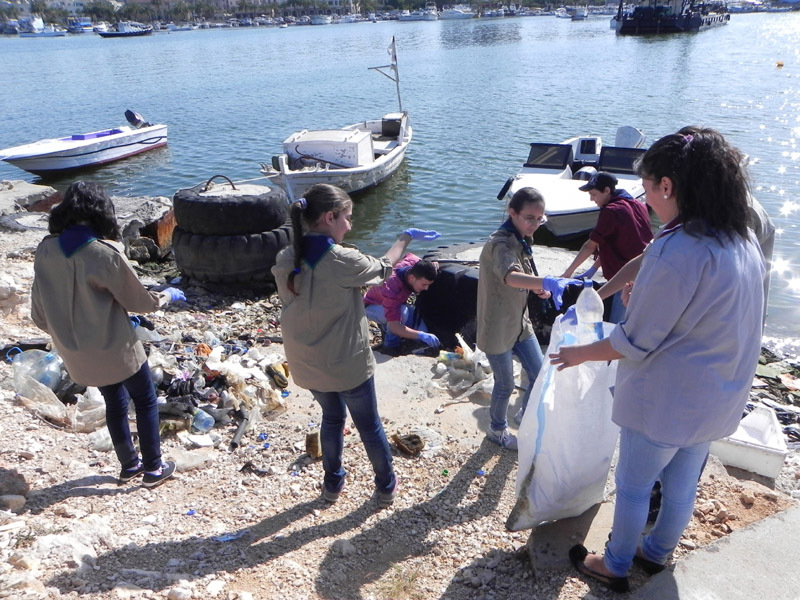 The Environmental Scout Organization in Lebanon carried out a wide clean-up campaign in the port of fishermen in Mina – Tripoli as part of a series of environmental activities for this year under the title (Better environment begins with you). The implementation of this campaign was accomplished by thirty scouts and scout guides and some employees of the port. The scouts worked on picking up wastes, sorting them and then transporting them out of the port in order to be recycled. 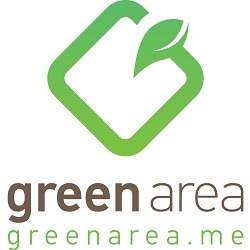 The activity also included meetings with the owners of touristic boats that organize cruises and they assured on the need to monitor visitors to prevent them from throwing any waste into the sea. 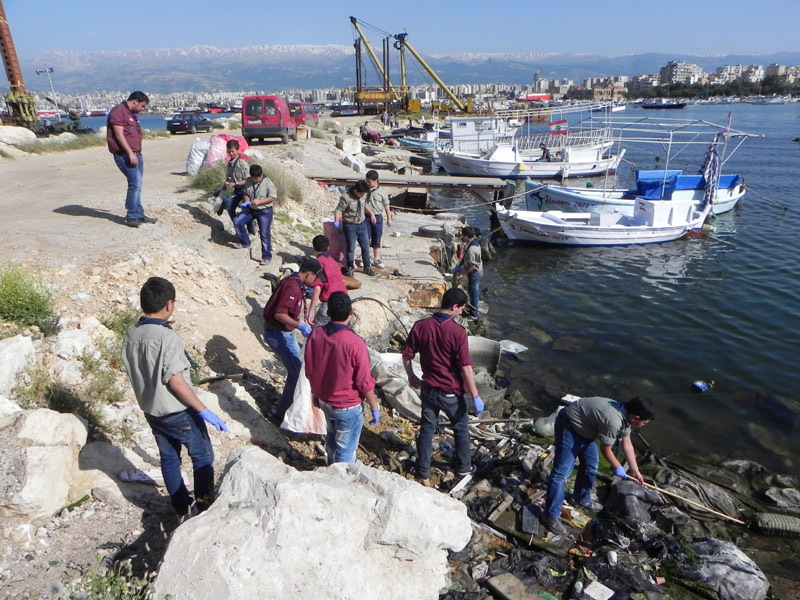 The general secretary of the Environmental Scout Organization in Lebanon Leader Murad Aboushi said that the aim of the campaign is to protect marine life especially from plastic wastes which causes the death of many sea turtles.